trainer training Are you ever going to train buddy? 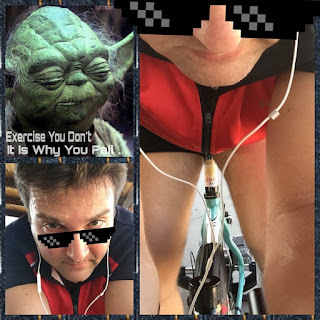 My fictional TRI- trainer, Yoda, decided that the best way to burn some fat is to hit the pedal and train while Athens suffers from a phenomenal Heat Wave! Temp is in acceptable levels for living in a desert and now it there are 39 Degrees of Fahrenheit. My training target for today is to have an easy spin in the bike trainer without any hard sessions or glorious intervals. How could I with all that heat? 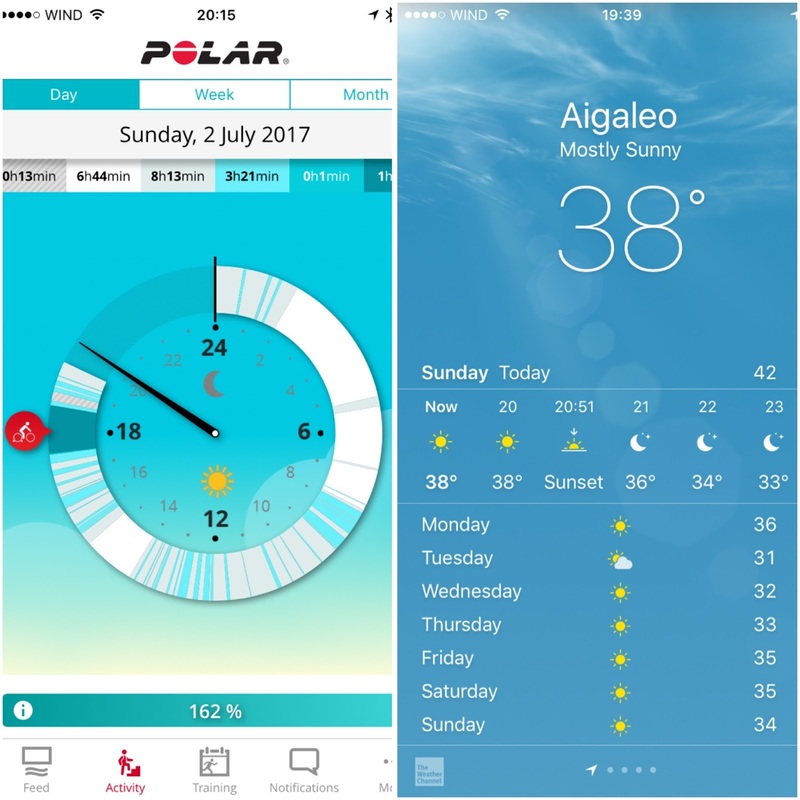 My only target was to stay in the aerobic zone and this is Polar Heart Zone 3. ... My personal Paincave. Normally I use a laptop as well...! 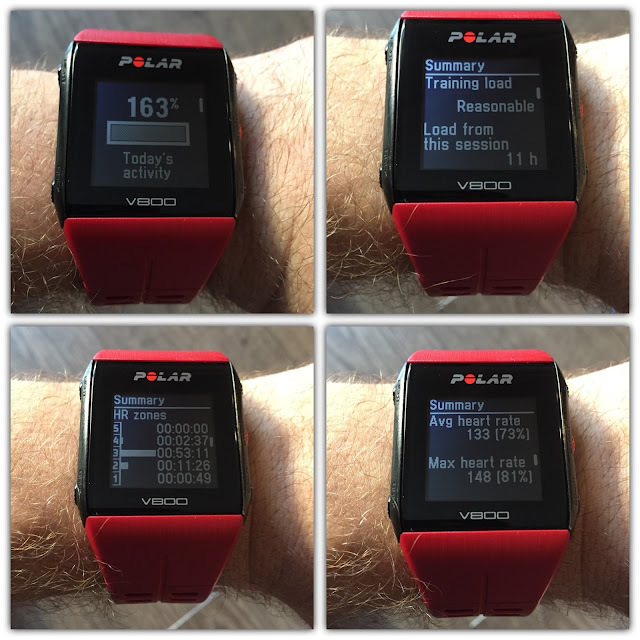 Training result on Polar V800. I consumed almost a 750ml of water in all my training. 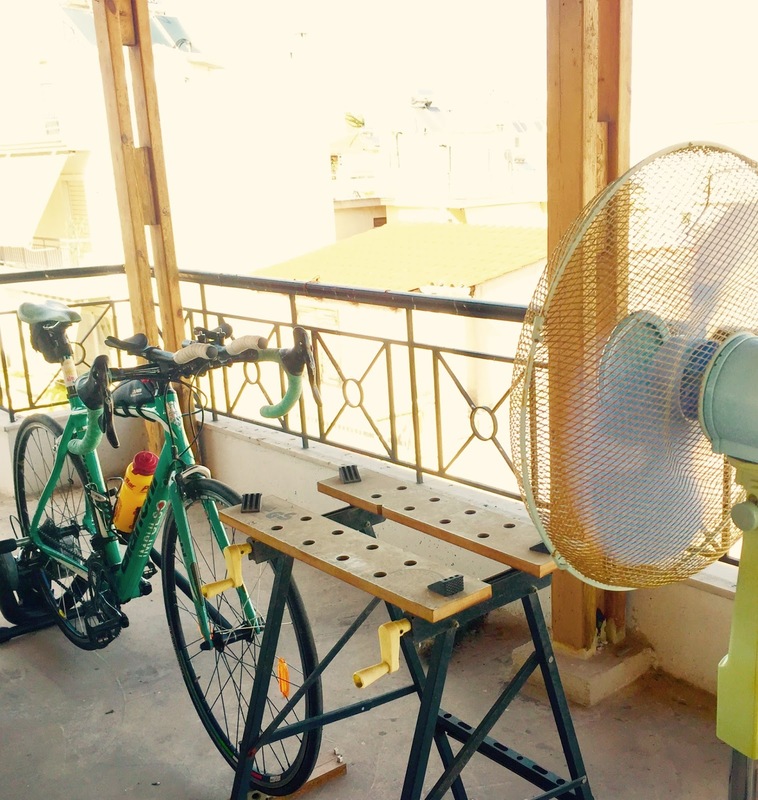 It was another sauna bike training ... Hopefully the weather will be soon cooler !! !